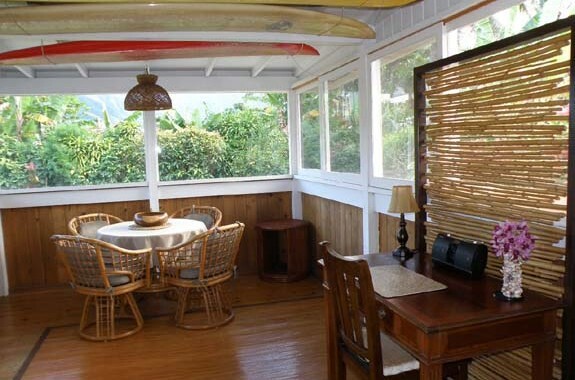 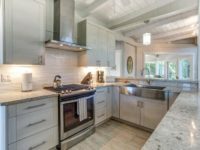 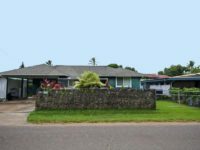 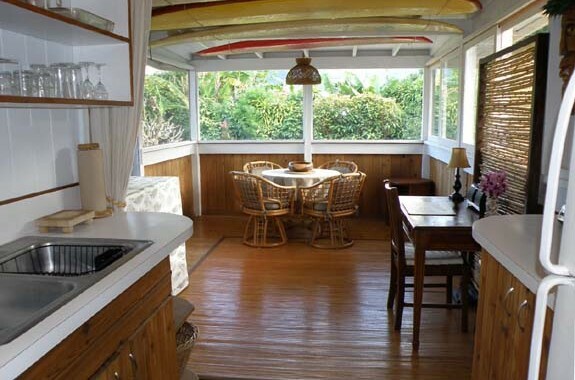 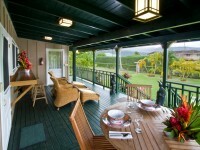 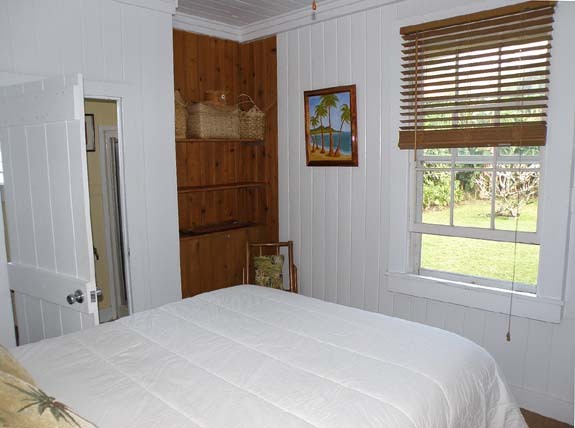 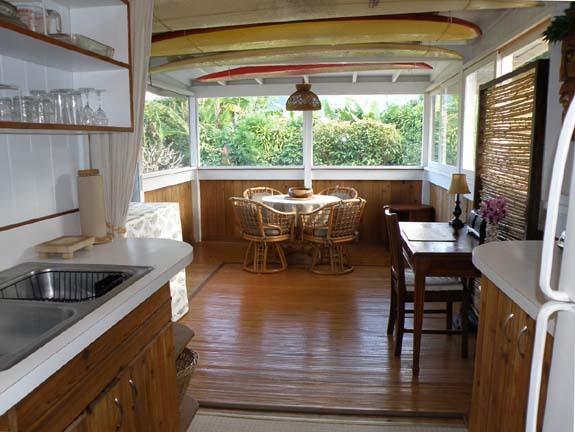 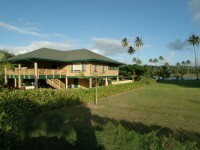 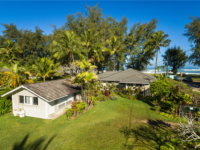 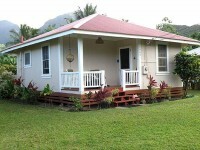 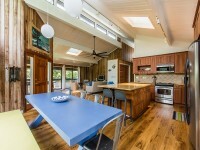 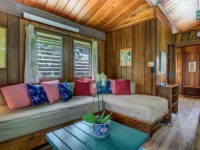 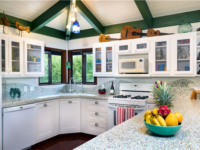 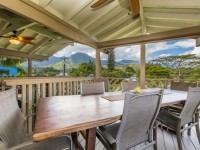 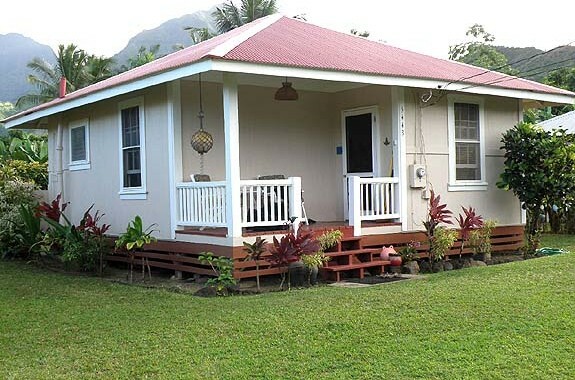 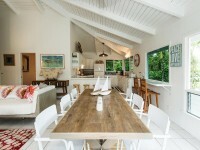 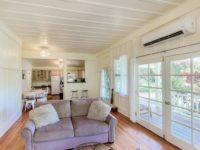 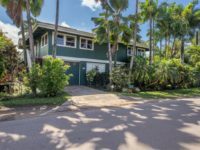 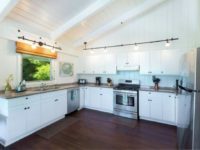 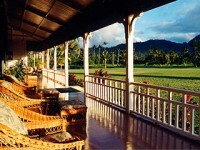 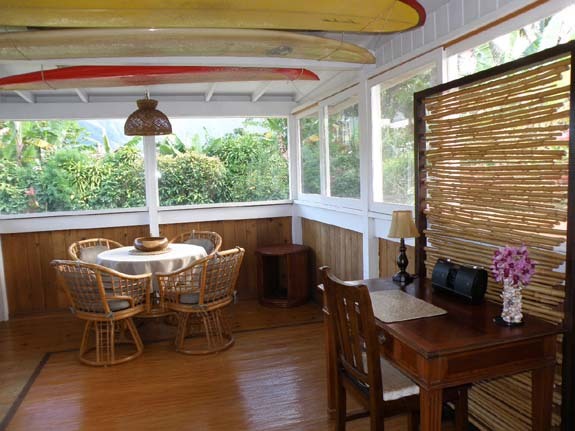 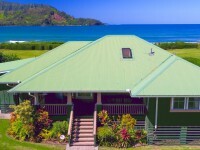 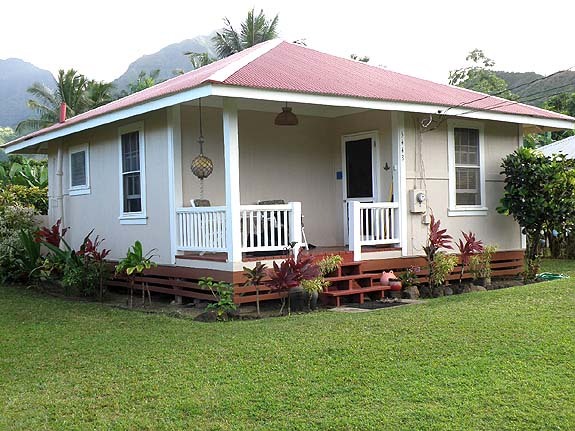 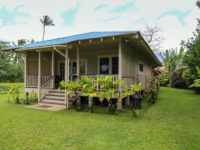 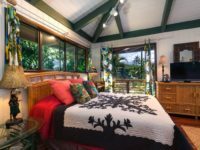 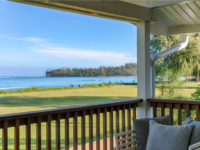 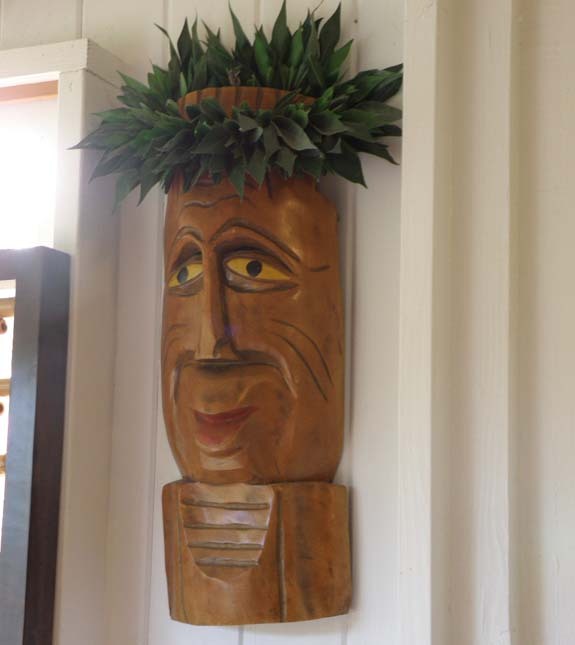 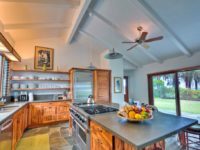 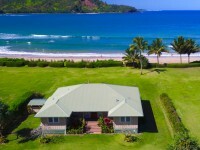 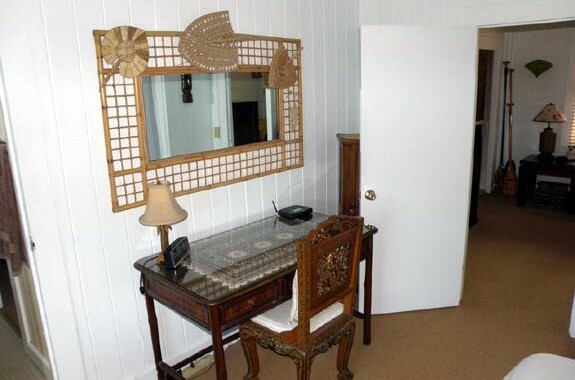 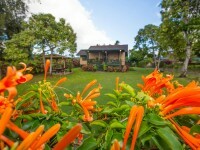 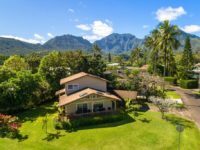 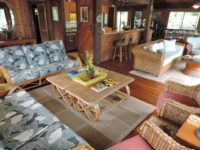 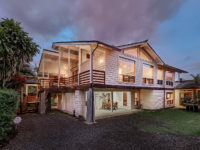 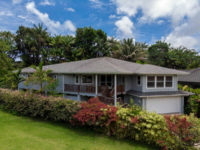 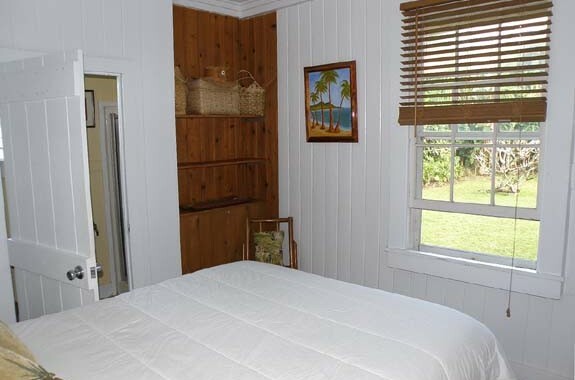 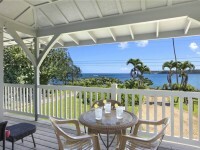 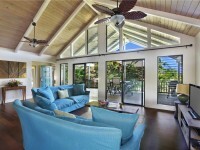 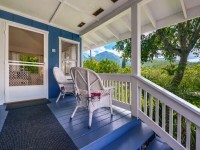 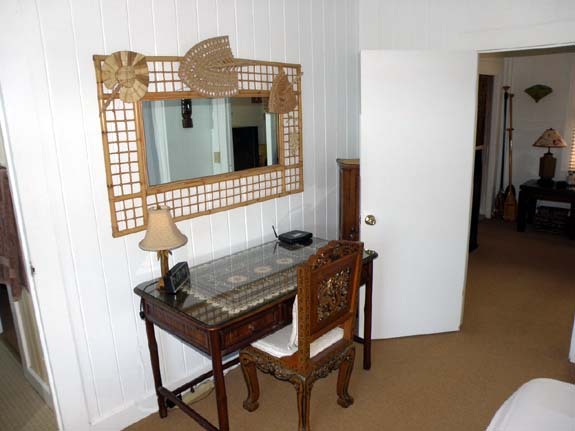 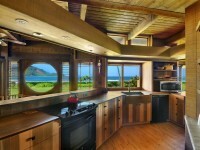 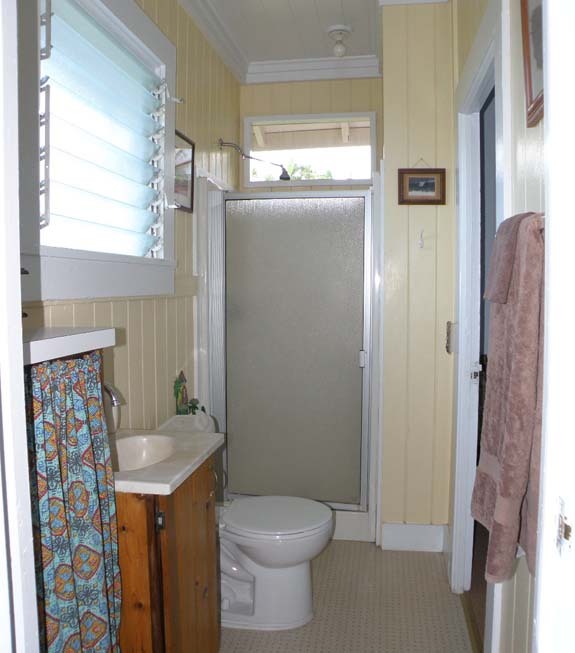 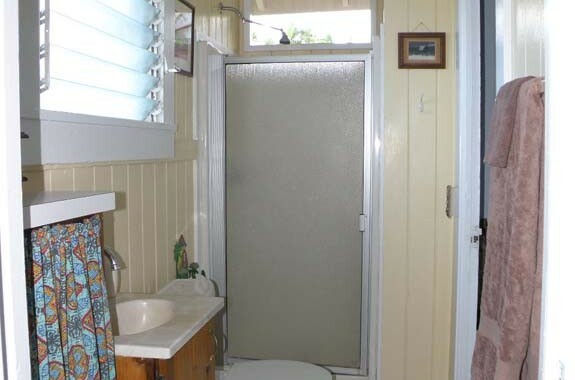 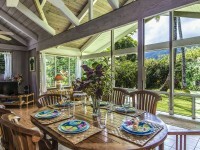 HANALEI, KAUAI VACATION RENTAL: Hale Luana Hanalei is a quaint and classic plantation cottage, just a few steps from heavenly Hanalei Bay (one property back). 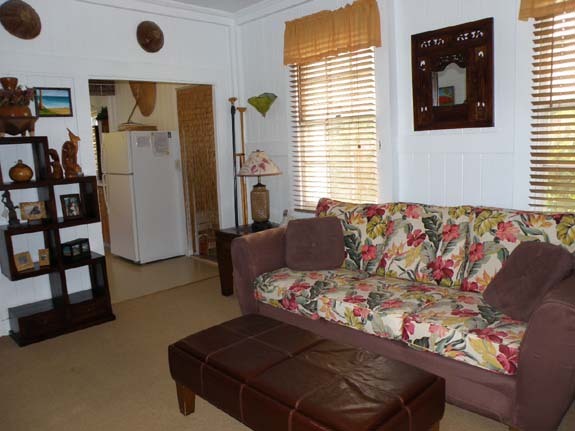 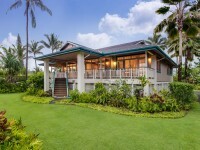 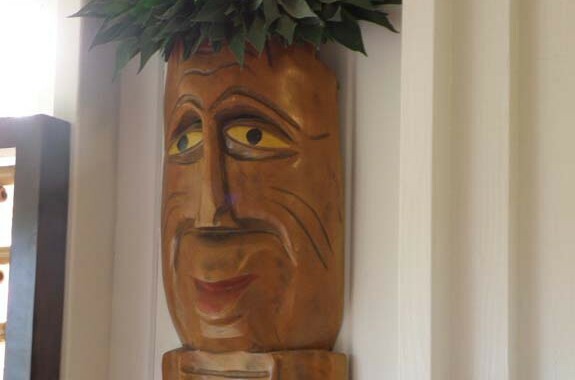 Enjoy this lovingly maintained home, decorated with charming Hawaiian and Indonesian charm. 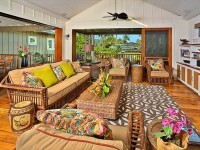 Crisp white walls, vintage tiki’s and Hawaiiana complete the picture. 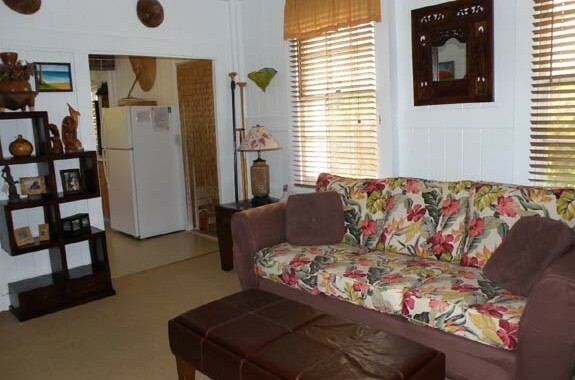 The comfortable living room has a flat screen TV and stereo system. 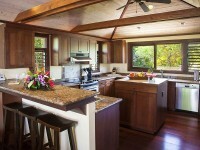 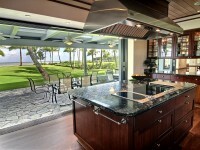 The kitchen is located between the living room and dining room.